You can hit the jackpot in Las Vegas with just a few bucks - Casino Inside - The gambling industry magazine! Nevada is the American gambling capital and only one of the four states, alongside Delaware, New Jersey and Pennsylvania, allowing any kind of betting. The core is the “Las Vegas Strip”, an almost 7 kilometers long boulevard in the city’s center, where most of the casinos and luxury resorts are found. The fight over clients is great and many times, in their favor. The idea that there is no place for you in Las Vegas unless you have a lot of money has made its way into the general folklore and many don’t even bother to verify the information. The prejudice remains as an incontestable Bible and tourists often reject this possible destination from the very beginning. However, things can be done otherwise, as well! 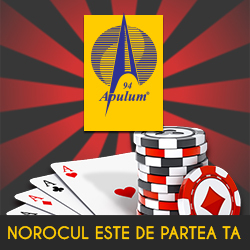 Overlooking the fact that you can get from Bucharest to Las Vegas and back with approximatively EUR 600, your stay there does not necessarily have to empty your pockets, especially if you are going there just for the gambling, and not to take daily trips through the Mojave Desert. And for this exact purpose, there are “Happy Hours”. What is that? Nothing more than the casino managers’ strategy to keep or attract their clients on casino floors even during the dead periods of time during the day, when they prefer to be somewhere else. How is it done? Give them cheaper food and booze and they will give you back the difference in price, it being unlikely that they keep it for any bills needing to be paid back home! Even though the idea of these discounts was more popular several years ago, when the industry hadn’t yet recovered, there are still 100 places where you can eat and drink only the finer things at cheap prices, as long as you gamble. Some people have even imposed themselves a betting limit as to benefit from the bar or restaurant discounts. For example, if you drink a beer for 3 dollars instead of 9 at the Golden Nugget, then you have to put another at least 10 dollars in a machine. In fact, this rule applies to most casino floors, where you cannot consume unless you play, and for the rest, at only a few steps away, in the same resort, you can find the best restaurants or the coolest bars. You’re not missing Romania too much when thinking about this, are you? Well, resemblances stop here! In order to enjoy these “Happy Hours”, you have to remember the applied schedules very well, especially considering that they are not the same. The Pub Monte Carlo tries to lure you in with half price for anything at the bar, only from Monday to Friday, between 15:00 and 18:00. At El Segundo Sol Fashion Show Mall you can drink a shot of tequila with 3 dollars, a beer for 4 dollars, a margarita for 5 dollars and eat a Mexican quesadilla for 5 dollars on any day of the week, but only between 16:00 and 19:00. Some casino managers, more cynical and less in love with crowds, offer these discounts during shorter time intervals, only with the purpose of selling in tourist packs and not seem anything less than the competition. Milos Cosmopolitan is one of these places, offering only an hour and a half of actual discounts, and then, the beer costs less than six dollars and the hors d’oeuvres plate is more than 10 dollars. However, the most beautiful Las Vegas-style stories are written by those who have put in 5 or 10 dollars into a machine and then needed a bag. For the rest of them, as the saying goes, what happens in Vegas, stays in Vegas! The “Happy Hours” idea is not, however, the only way of attracting players in casinos or keeping them there once they are in. The Las Vegas resorts are true amusement parks and between two bad hands the clients can refresh their appetite for gambling by relaxing at the SPA, pool, getting a massage, ski-jet racing on lakes created in from of hotels or concerts held by the world’s best artists. The king in this respect, due to its complexity, is the colossal MGM Grand which holds the largest hotel in the USA with 5,124 rooms. It is truly big because of its 30 floors, its 35,000 square meters on which it is built or the 139 poker tables functioning alongside the 2,500 slot machines. MGM Grand Garden Arena is the true icing on the cake and the ingredient that nobody actually has in Las Vegas. This is the hall were the most famous boxing matches in history took place, and we give as an example only Holyfield vs. Tyson, De La Hoya vs. Mayweather or Mayweather vs. Pacquiao, but also the Grammy Awards in 2014, 2015 and 2017. Here, you can see Cher, Bruno Mars in concert every month or the incredible show of those performing in Cirque du Soleil. And if this still does not keep you inside or make you step over the threshold of a casino, then you are immune to feeling! It seems hard to believe, but history can be learned in Las Vegas. And not just any history, a bloody one. That is because gangster movie lovers walking down the Strip cannot miss the famous Flamingo, casino founded in 1946 by Bugsy Siegel, one of the greatest gangster of the 1920s, 1930s and 1940s, when Las Vegas was nothing more than just a few slot machines and the sand, good only for hiding the bodies of gang war victims. The Flamingo has remained an attraction over time, and you can stay in the four star the establishment even nowadays and only for 60 dollars a night. Las Vegas represents an attraction for player due to the fact that it is the only state in the USA allowing on-line betting, a “Pandora’s Box”, unopened yet in the rest of the territories left of the Mississippi River. Conclusion: What Las Vegas without a bank loan? Find out all you can about the “Happy Hours”, walk into the finest places and try your luck! If you don’t get lucky, at least you’d have been unlucky on a full stomach!